Upon viewing a couple videos on how-to clutch R&R it is clearly not difficult. What seems an obvious question may not have an obvious answer: What is to stop me from disassembling the clutch pack in situ and simply replacing the plates and spring? It surely looks as though I can do that without removing the large nut securing the “back plate”. I've done several of these Slant/4 clutches over the years. If the outer basket isn't worn, then you don't need to remove it. 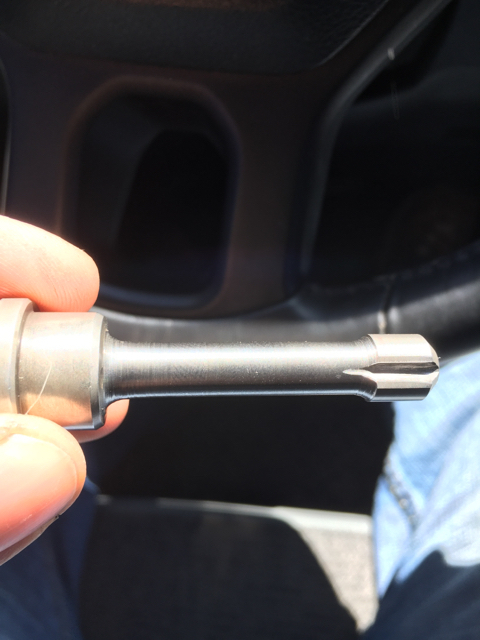 A friend bought the clutch holding tool from BMW (again, not cheap). 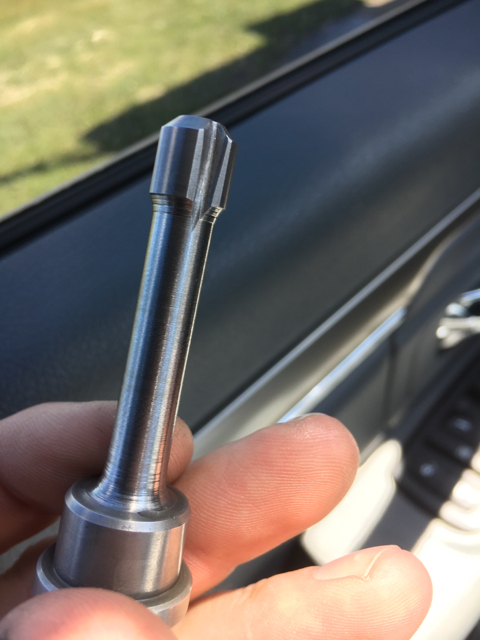 Another friend and I just made our own tool in his machine shop. It is possible to do it wth a large strap wrench or something similar holding the outer clutch basket, but having a proper tool that won't slip makes it a whole lot easier. Thanks, meese, for the information. I did order both the holding tool and locking pin; if I remove more than just the plates I’ll have them available. There are some good videos on YouTube that go into the whole multi-plate wet clutch replacement process in great detail. 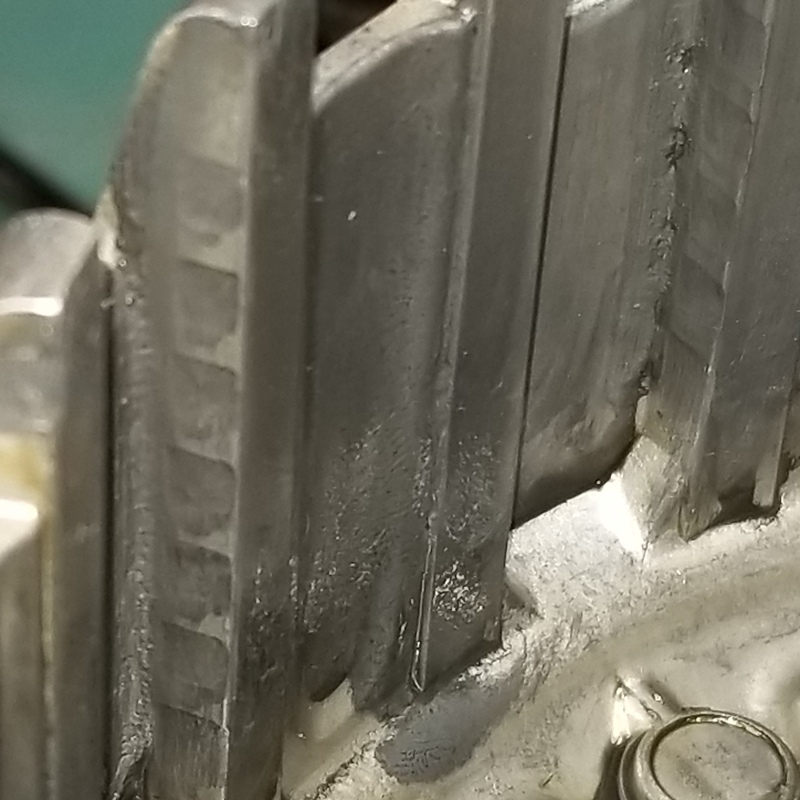 Just make sure it's for an '06-'09 Slant/4 motor as opoosed to the single-plate dry clutch used in the older Flying Brick motors from the LT, RS, and earlier GT bikes. Note that the K1300GT has a redesigned inner hub, clutch plates, and outer basket. All these parts can be retrofitted to the K1200GT, and it's likely what you'll get if you order the parts new from BMW now. 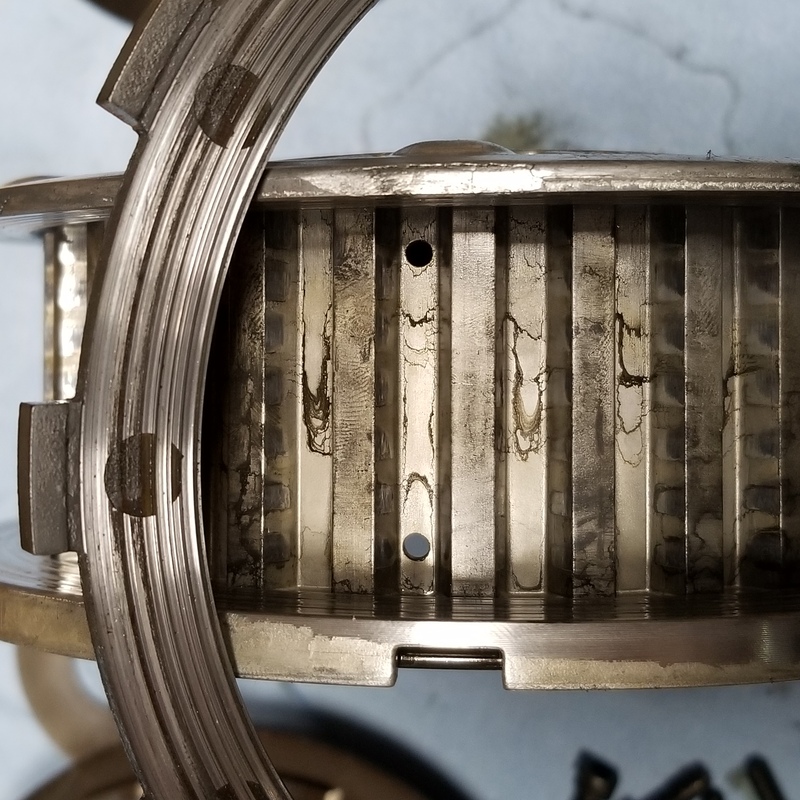 There's also a guy in the UK that was doing a great job rebuilding/reworking the 1200 clutches, but most all of his improvements have now been incorporated into the 1300 clutch design. You can find some good clutch squawk discussion at this link. More cam chain info can be found at this link. Also, have a read through this thread to learn more than you wanted to know about the K1200GT. Once you sort out these issues, then it really is a fine bike. Thanks again meese for the info. The bike does have the jump guard installed. Of course upon removing the spring retainer and spring I see why the nut must be removed to replace the plates. I’m waiting on delivery of the clutch holder tool and crank lock tool to complete the job. I did the clutch replacement today; not a difficult task if one has the right tools, and a cheater-bar to break the nut loose. Mine had the typical signs of a worn or worn out clutch: creeping when dropped into first, squeal leaving a stop, difficult to find neutral if not rolling, hard shifting, a very narrow engagement band way out at the end of lever travel, and slipping at higher revs under harder acceleration. The friction plate against the pressure plate was bare making for the metal-on-metal squeal leaving a stop. I used a Dremel with a sanding drum to gently knock down the ridge on the pressure plate. I look forward to warmer temps to enjoy better drivability. All that said, I now have the BMW crankcase lock tool, a thin-wall socket, and a clutch holding tool I ordered from an outfit in the U.K. Cymarc | The home of handcrafted quality motorcycle parts made in Britain. BMW Specialist Now since these tools are likely to see a very limited use, I offer them out for loan to anyone in the continental U.S. who is willing to pay shipping both ways. Now since these tools are likely to see a very limited use, I offer them out for loan to anyone in the continental U.S. who is willing to pay shipping both ways. NOw that's a very generous offer. I'm not in the US, I'm in Australia and, I don't have a bike requiring the use of these tools, I have a loan BMW K100LT a friend insisted I borrow till I get my car engine built and back in my car. Now I have the bike the car is no longer a priority and I'm enjoying riding again after having too long a break (plenty of friends bikes ridden in between). One thing I will mention, not trying to be a kill joy, I've loaned out plenty of specialty tools over the years and have lost so many. What hasn't been lost has mostly been damaged and now when some of the same acquaintances come and ask "oh, do you have such and such tool?" I tell them to go buy their own because I either never get them back or they come back damaged and when I actually require them myself, I have to purchase another one. One such example is a classic, a friend of 30 years started telling me he has a 17mm socket Allen key (hex key) and I said "yes, it's mine, I loaned it to you a few years back and you never returned it!" He said "I don't know where I borrowed it but it's not yours, why would you even own one?" I retorted it fitted the free lift pins on forklift masts and having been a forklift technician for several years it was a much used tool. I also told him I loaned it to him to do the gearbox on his VW Transporter. I never got it back! I'm not saying the fine folk on this forum are going to be the same and I'm sure there are plenty of members here who would greatly appreciate the loan and also respect the tool and return it promptly in the condition they received it, just saying I've lost a couple of thousand dollars worth of tools I have never gotten back ( having a crappy memory and forgetting I've loaned it out (and to whom) till it's missing when I need it doesn't help). Yeah, I know loaning tools is a risk. Twelve years or so ago a young kid living just across the street from me was working on a pickup he’d acquired somehow. Of course he didn’t have any tools but knew I liked to work on my motorcycle and had tools. The short version is I loan him and his buddy some Craftsman tools. When I get the tools back some have been replaced with lesser quality items. Turns out I got some of his buddy’s tools and his buddy got some of mine. The kid didn’t know one tool brand from another, and I never saw his buddy again. I’ve long since replaced the off-brand with my favorite Craftsman brand, and the off-brand bits are in my traveling kit. Mark65 and Leo_G like this. Any takers on your tool loan offer? I have a 2006 K1200S and I need to replace my clutch plates and would love to borrow your tools! Where are you located, BrianK? I'm in Seattle, WA. I am having a really hard time replying to you - multiple different security issues keep popping up (token expiring???). Anyways I did sign up to this forum to respond to your earlier post - I am a member of another forum (I-BMW), but hadn't seen on offer to borrow some of those special tools in there. 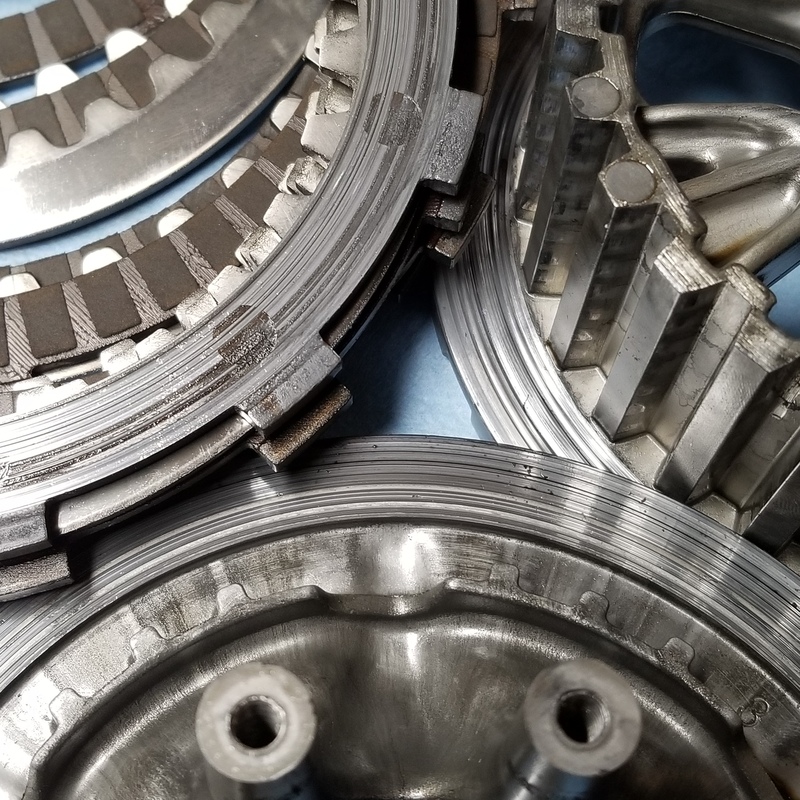 Of course I hadn't really asked My K1200S definitely needs new clutch plates - finding neutral is almost impossible, and I have to put on my brake when I shift into first so I don't leap out in an uncontrolled manner. Makes driving around town and stop and go traffic even more of a bear than normal! OK, you’re on to borrow the tools as long as you pay the shipping both ways. When would you like to have them? The clutch tools: engine lock, hub holder, and socket, went from me in North Carolina out to Seattle for Brian to use on his K1200S and have been returned. They are again available for loan. bmwcoolk1200 and northguybkb like this. Joe, I wouldn't mind borrowing those clutch tools if they are available again, I am in Michigan. If the clutch tools are still available I would love to borrow them if I could. I am located in Michigan. 40,000 miles on her and she started slipping like crazy. If the option to borrow the clutch tools is still available I would love to borrow them. I am located in Michigan. I would love to rent those tools if available. Sure, rental fee is you pay shipping both ways. Send me a pm. Or just right here with your shipping info and when you want the tools. Clutch tools are off to Michigan after their successful trip to Seattle. They’ll be ready to travel again soon. Tools are on there way back, a thousand thank you's sir. Here is a picture of modification to the thrust pin, hopefully let more oil in to the clutch basket. I also added a hole on the clutch basket on the very edge of the shoulder. The clutch plates were in good shape except for the very outer one, a tremendous amount of pasty build up. Replaced with Barnett clutch plates. Clutch tools are back from their Michigan adventure and are ready to be lent out again. Why do you need to lock the crank? This seems redundant to me. Why pin the ancillary gear also? I don't see any timing marks on the pulleys. The cam timing is done off the crank and the ancillary shaft ... why time that? I don't see any phase relationship. perhaps the extra tools and work are to aid in reinstalling the split zero backlash gear on the clutch basket? I did not really have any issue installing the basket without... a couple taps and a twist and it fell right in to engage the oil pump drive. Valid questions that I can’t answer. I bought the tools after watching a YouTube clutch change video. Then I simply changed-out the plates without making any mods. I questioned the crank lock tool as well, but it’s a quick installation and removal so I used it. Everything seems to be working well. I finished up my clutch last night on the K1200s. Initial results is that the clutch is much improved.. No shaking shuddering or squealing on take off from rest. There is / was no penalty for not locking the crank or ancillary shaft gear. It was quite easy and simple actually. Hats off to that British gent. Also the Barnett clutch plates set has steel plates with a mat finish not ground or polished like the Germans. Japanese plates usually have a stippled finish to give the oil a place to shear into when the clamping force increases. Sharealike1 also offers these stippled plates for the K1200.. I bet that is a improvement too. So there is a clutch basket tool for the K12s in Ct also. Well, with 90k on the clock it's time for a little clutch work. Thought the hard to find neutral symptom was due to the sloppy shifter. Did the "fix". While shifting better, neutral remains elusive at times. Ordered the clutch kit today. Funny thing is I was surfing to find the new style airbox ( you know why) and somehow got sidetracked to clutches. So now I have the new style airbox and clutch kit ordered. I'll be busy soon. Clutch tools are on their way to San Jose! The box they are in is the box they came in on their way back from Seattle. The box has been to Michigan and back and is heading west again. Many thanks Joe. I'll keep my eye out for it. The tools came today! Just removed the clutch pack. Thanks for the loan of the tools Joe. Bad thing is the hubs are scored (no material left on friction plates mating to hubs). Can anyone tell me how to borrow the tools for the clutch replacement on my 04 K12GT. I found a man who would lend the tools, then you ship them back to him. But it has been years since I found his contact. I have the parts I just need the tools. Please help! Clutch done! Haven't taken it out to test ride. Can't thank Joe enough for the generous loan of tools! Also a shout out to Mk19. At first the pics wouldn't come up. Then I read the one sentence that said, "the factory manual doesn't say it but you have to rotate the eengine to locate the alternator alignment hole!!!!! I'd still be orking on it if I haden't seen that. The clutch tools are back from sunny San Jose and are ready to loan out again. Thanks to Chris for returning them in a better box! An update. Joe did contact me about loaning me his tools, he is a generous man. But I had been in the dealer the preveous day for a fuel strip replacement and ended up buying the tools. So his are probably still available. Thanks again for the offer Joe. The tools are again available for loan! Having known about these clutchs having problems, I bought one about 7 years ago from a wrecked bike with around 2000 mi. on it. Paid $300 for it, what a bargain. My original had 57000 mi. Each end plate and their mating surfaces were very worn and grooved. All the channels of the basket had wear from the plate ears. All the inner plates were in decent condition. On the new one I did drill an extra oil port close to the end plate. What a difference, it's like a new bike again. For the last 2 years I've been bliping the throttle on down shifts to get a fairly smooth change. To get it into neutral, had to shut off the engine off. 4. excenter tool to set the oil pump chain tension. Can i change my clutch and the basket in a 2007 GT without 3. and 4. ? What are role of the locking pin? Short answer is yes. Read this thread and I have a comment at the bottom of it. I just finished this job 3 days ago. If you have any questions you can PM me and we can exchange email addresses. Huh, last weekend i have replaced the complete clutch with basket, lamellar package and the oil pump sprocket. It was not too hard. BEECH, MANY THANKS for your post on i-bmw.com!!! But, i was schocked when i removed the clutch cover. There are few small plastic pieces in the cover... i discovered a broken cam chain side rail in my bike. Thanks guys, it's a very helpful thread!